Brand New High Quality Samsung G600 G608 Buzzer Ringer. If your phone buzzer ringer are broken, or heavy noise sound, or voice not clear, that is possible that you need this one to replace it. Replace your Samsung G600 G608 broken sound, damaged or cracked buzzer ringer with new one. 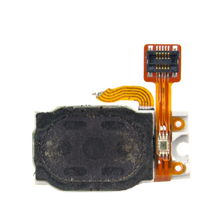 Buy this High Quality Samsung G600 G608 Buzzer Ringer for replacement at great wholesale prices with no minimum order quantity!